Blackberry have had us all salivating this year with the Curve and Storm being released to great acclaim. So how will they follow this up? With a bang it seems, as we can now officially confirm the UK launch of the Blackberry Javelin in December. It’s smaller than the Curve or the Bold and features a sharper screen for brighter images and icons. It features a dedicated lock button, so you don’t accidentally tap keys on the go, and is WiFi and 3G connected. 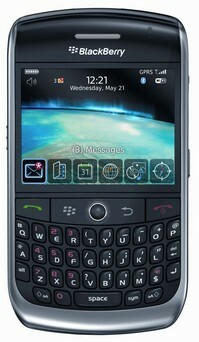 You also get a 3.2 megapixel camera, the Blackberry maps service and pre-installed handsfree calling. I can see the Crackberry fans salivating already. No word on pricing but I guess this will be a free with contract phone, and it certainly looks very swish. Available exclusively at Carphone Warehouse from the 20th Dec.